One question that commonly comes up with continuous no-till operations is: “How deep should I sample soils for pH?” Another common question is: “How should the lime be applied if the soil is acidic and the field needs lime?”. Our standard recommendation for pH is to take one set of samples to a 0-6 inch depth. On continuous no-till fields where most or all of the nitrogen (N) is surface applied, we recommend taking a second sample to a 0-3-inch depth. We make the same recommendation for long-term pasture or grass hayfields, such as a bromegrass field that has been fertilized with urea annually for several years. Nitrogen fertilizer is the primary driving force in lowering soil pH levels, so N application rates and methods must be considered when determining how deep to sample for pH. In no-till, the effects of N fertilizer on lowering pH are most pronounced in the area where the fertilizer is actually applied. In a tilled system, the applied N or acid produced through nitrification is mixed in through the action of tillage and distributed throughout the tilled area. Where N sources such as urea or liquid UAN solutions are broadcast on the surface in no-till system, the pH effects of the acid formed by nitrification of the ammonium will be confined to the surface few inches of soil. Initially this may be just the top 1 to 2 inches but over time, and as N rates increase, the effect of acidity become more pronounced, and the pH drops at deeper depths (Figure 1). How deep and how quickly the acidity develops over time is primarily a function of N rate and soil CEC (cation exchange capacity), or buffering capacity. Where anhydrous ammonia is applied, or liquid UAN banded with the strip-till below the surface, an acid zone will develop deeper in the soil. As with long-term surface applications, these bands will expand over time as more and more N fertilizer is placed in the same general area. The graphic below (Figure 1) illustrates the effect of repeated nitrogen and phosphorus application with strip-till in the same area in the row middle on a high CEC soil for more than 12 years. Figure 1. Soil pH stratification after 25 years of no-till and surface nitrogen fertilizer application, and the effect of repeated fertilizer application with strip-till in the same area after 12 years. Where do you place the lime in continuous no-till? If you surface apply N, then surface apply the lime. That’s a simple but effective rule. But remember that surface-applied lime will likely only neutralize the acidity in the top 2-3 inches of soil. So if a producer hasn’t limed for 20 years of continuous no-till and has applied 100 to 150 pounds of N per year, there will probably be a 4-5 inch thick acid zone, and the bottom half of that zone may not be neutralized from surface-applied lime. So, if a producer is only able to neutralize the top 3 inches of a 5-inch deep surface zone of acid soil, would that suggest he needs to incorporate lime? Not really. Research has shown that as long as the surface is in an appropriate range and the remainder of the acid soil is above pH 5, crops will do fine. Liming benefits crop production in large part by reducing toxic aluminum, supplying calcium and magnesium, and enhancing the activity of some herbicides. Aluminum toxicity doesn’t occur until the soil pH is normally below about 5.2 to 5.5 and KCl-extractable (free aluminum) levels are greater than 25 parts per million (ppm). At that pH the Al in soil solution begins to increase dramatically as pH declines further. Aluminum is toxic to plant roots, and at worse the roots would not grow well in the remaining acid zone. This implies that the acid zones from ammonia or banded UAN are probably not a major problem. We have monitored ammonia bands in the row middles of long-term no-till for many years and while the pH dropped very low, we never saw any adverse impacts on the crop that would justify liming and using tillage to incorporate the lime. In fact, some nutrients such as zinc, manganese, and iron can become more available at low pH, which can be an advantage at times. Yield enhancement is not the only concern with low-pH soils, however. Herbicide effectiveness must also be considered. The most commonly used soil-applied herbicide impacted by pH is atrazine. As pH goes down, activity and performance goes down. So in acidic soils, weed control may be impacted. We do see that happen in corn and sorghum production. When choosing a liming product, is there any value to using dolomitic lime (which contains a large percentage of magnesium in addition to calcium) over a purely calcium-based lime product? Most Kansas soils have high magnesium content. So as long as we maintain a reasonable soil pH, there normally is enough magnesium present to supply the needs of a crop. Calcium content is normally significantly higher than magnesium, so calcium deficiency is very, very rare in Kansas. The soil pH would need to be below 4.5 before calcium deficiency would become an issue. Before calcium deficiency would occur, aluminum toxicity or manganese toxicity would be severely impacting crop growth. So producers really don’t have to worry about a deficiency of calcium or magnesium on most Kansas soils. What about the use of pelletized lime as a pH management tool on no-till fields? The idea has been around for a while to use pel-lime in low doses to neutralize the acidity created from nitrogen and prevent acid zones from developing. . Pel-lime is a very high-quality product, normally having 1800 to 2000 pounds of effective calcium carbonate (ECC) per ton, and can be blended with fertilizers such as MAP or DAP or potash easily. Therefore, if you apply enough product this can be an excellent source of lime. Lime can be from various sources and with different qualities. Consecutively, to ensure a standardized unit of soil-acidity neutralizing potential, we use units of ECC. Applying N fertilizer to soil will cause the soil to become acidic over time. Placement of the applied N and the level of soil mixing done through tillage determine where the acid zones will develop. Make sure your soil testing program is focused on the area in the soil becoming acidic, and apply the lime accordingly. Each year the question comes in about lime source and rate. To help provide some answers I along with several county educators will be establishing both large scale strip demonstrations and small plot trails on producers fields across Oklahoma. Data collected from these project over the next four to six years will provide a great basis for future recommendations. But until we have more data I would like to share this article written by Dr. Lloyd Murdock. Dr. Murdock does a fantastic job describing the impact of source and rate on soil pH. Below Dr. Murdock contact is a list of relevant fact sheets and publications produced by Oklahoma State University. Pelletized lime is made by granulating finely ground agricultural (ag) lime. It may be dolomitic or calcitic depending on the nature of the original limestone. The fine lime particles are bonded together with lignosulfonates during the pelletizing process. In general, the pelletized lime contains about 9% lignosulfonates. Pelletized limestone is a product that has been on the market for many years. The price of the material on a per ton basis is considerably higher than bulk ag lime, so its use has mainly been confined to specialty markets, with little use in production agriculture. However, the product is becoming more commonly used in production agriculture. Some questions have been raised about recommended rates of this material and the speed at which it reacts compared to standard ag lime. How Much Can the Rates be Reduced for Pelletized Lime? The recommended rates and the effect on soil pH of any agriculture lime product is related to the neutralizing value of the lime, which is a combination of the purity (calcium carbonate equivalent) and the fineness of grind (particle size). As these two properties of lime change, so does the recommended rate of lime and its effect on soil pH. The finer the lime particles and the higher the calcium carbonate equivalent, the more effective the lime and the lower the rate of lime needed to make the desired pH change. Bulk ag lime sold in Kentucky has an average neutralizing value of 67% when averaged for all quarries. All lime recommendations in Kentucky are based on this value. Therefore, if the neutralizing value of pelletized lime is substantially higher than 67%, then the recommendation should be lower. The information to calculate the neutralizing value should be on the pelletized lime bag, and the method to calculate the neutralizing value can be found in publication AGR-106,University of Kentucky College of Agriculture. For example, a high quality pelletized lime source may have a neutralizing value of 85. If this is the case, the lime rate can be reduced to 78% of what would be recommended for bulk ag lime. This is calculated by dividing the average neutralizing value of ag lime by the neutralizing value of the pelletized lime being used (67 ”85= 0.78). In this case, 1560 lbs/ac of pelletized would be required to equal one ton of ag lime. If less than this amount of pelletized lime is used, the expected soil pH change will probably not be obtained. As can be seen from this example, the recommended rates of pelletized lime cannot be greatly reduced as compared to bulk ag lime. How Fast Will Pelletized Lime React? The speed of reaction (rate at which the lime will change the soil pH) is mainly a function of surface area of the lime particles and their contact with the soil. The finer the grind of lime, the more the surface area, and the faster the reaction. Since pelletized lime is pelleted from finely ground lime, it is easy to assume that it will be faster reacting than bulk spread ag lime which has some larger, non-reactive particles as a part of its composition. However, this is not true. Based on research from several states, it appears that the pelletized lime reacts no faster to raise the soil pH than good quality ag lime applied at recommended rates. In fact, incubation studies at Michigan State University found the pelletized lime to have a slower rate of reaction. Field research from other states indicate the rate of reaction is about equal to ag lime. The slower than expected reaction of pelletized lime is probably due to two things: 1) the lignosulfonate binding, and 2) the distribution pattern. The lignosulfonate binding must break down by solubilization or microbial action before the lime is released to neutralize the soil acidity, which would delay the speed of reaction. When the pelletized lime is spread, it is distributed on the soil in pellets and results in small concentrated zones (spots) of lime after the binder dissolves. The fine, reactive particles of ag lime, in contrast, are spread as more of a dust so that the lime is better distributed and not in concentrated spots. The bulk spreading method will allow the ag lime to contact a larger amount of the soil. Pelletized lime is an excellent source of high quality lime. Its use in agriculture has been limited due to the price. The recommended rate of pelletized lime should be based on the neutralizing value of the lime and will probably be about 75 to 80% of that for average-quality bulk ag lime. Contrary to popular belief, the speed of reaction of pelletized lime is no faster than that of bulk ag lime. Thus, when comparing the two materials, less pelletized lime is needed to raise the soil pH to the desired level, but the increase in pH is no faster than with ag lime if both are applied on the basis of their neutralizing values. For phosphorus (P) and potassium (K) fertilizer management there are three primary schools of thought when it comes to rate recommendations. The three approaches are Build-up, Maintenance/Replacement, and Sufficiency. There is a time and place for each one of the methods however the current markets are making the decision for the 2016-16 winter wheat crop a very easy one. The OSU factsheet PSS-2266 goes in-depth on each of these methods. For the rest of the blog I will use P in the conversation but in many scenarios K should/could be treated the same. Build-up is when soil test is below a significant amount of fertilizer, about 7.5 lbs P2O5 per 1 ppm increase, is added so that soil test values increase. This method is only suggested when grain price is high and fertilizer is relatively cheap. Given the market, this is a no go. The two most commonly used methods of recommendation are Replacement and Sufficiency. In the replacement approach if the soil is at or below optimum P2O5 rate it based upon replacing what the crop will remove. The sufficiency approach uses response curves to determine the rate of P that will maximize yield. These two values are typically quite different. A good way you boil the two down is that replacement feeds the soil and sufficiency feeds the plant. Oklahoma State Universities Soil, Water, and Forage Analytical Lab (SWFAL) provides recommendations utilizing sufficiency only while many private labs and consultants use replacement or a blended approach. Some of this is due to region. Throughout the corn belt many lease agreement contain clauses that the soil test values should not decrease otherwise the renter pays for replacement after the lease is over. For the corn belt both corn and soybean can be expected to remove 80 to 100 pounds of P per year. Conversely the Oklahoma state average wheat crop removes 17 lbs P a year. In areas where wheat yields are below 40 bushel per acre (bpa) using the sufficiency approach for P recs can increase soil test P over time. This conceptual soil test response curve is divided into categories that correspond with below opti-mum, optimum and above optimum soil test values. 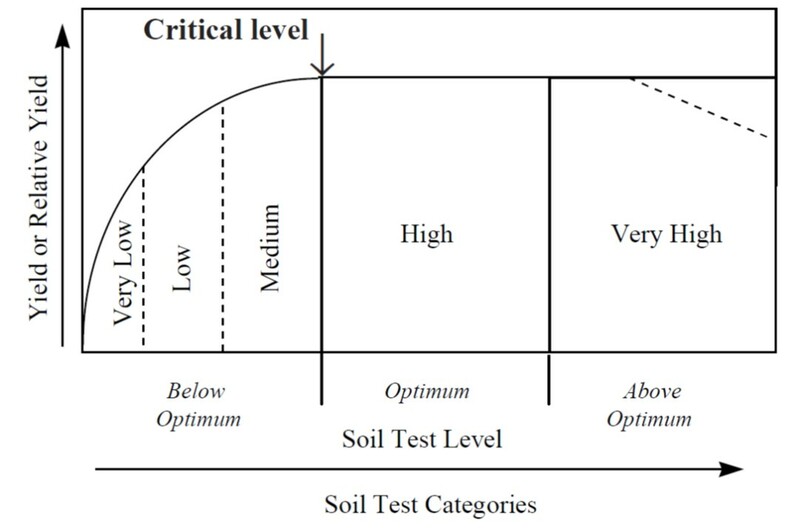 The critical level is the soil test level, below which a crop response to a nutrient application may be expected, and above which no crop response is expected. 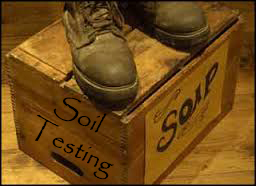 At very high soil test levels crop yield may decrease. Back to subject of this blog, consultants, agronomist, and producers need to take a good look at the way P recs are being made this year. Profitability and staying in the black is the number 1, 2, and 3 topic being discussed right now. The simple fact is there is no economic benefit to apply rate above crop need, regardless of yield level. The figures above demonstrate both the yield response to fertilizer based upon soil test. At the point of Critical level crop response / increase in yield is zero. What should also be understood is that in the replacement approach P fertilizer is still added even when soil test is in Optimum level. This also referred to as maintenance, or maintaining the current level of fertility by replacing removal. If your program is a replacement program this is not a recommendation to drop it completely. Over a period of time of high removal soil test P levels can and will be drawn down. But one year or even two years of fertilizing 100 bpa wheat based on sufficiency will not drop soil test levels. On average soils contain between 400 and 6000 pounds of total phosphorus which in the soil in three over arching forms plant available, labile, and fixed. Plant available is well plant available and fixed is non plant available. The labile form is intermediate form of P. When P is labile it can be easily converted to plant available or fixed. When a plant takes up P the system will convert labile P into available P. When we apply P fertilizer the greatest majority of was is applied makes it to the labile and fixed forms in a relatively short period of time. For more in-depth information on P in the soil you can visit the SOIL 4234 Soil Fertility course and watch recorded lectures Fall 2015 10 26-30 Link . How to tell if your P recs have a replacement factor, not including calling your agronomist. First replacement recs are based on yield goal, so if you change your yield goal your rate will change. The other and easier way is to compare your rates to the table below. Most of the regional Land Grant Universities have very similar sufficiency recs for wheat. Another aspect of the sufficiency approach is the percent sufficiency value itself. The sufficiency can provide one more layer in the decision making process for those who are near the critical or 100% level. Response and likelihood of response to P is not equal. At the lowest levels the likelihood of response is very high and the yield increase per unit of fertilizer is the greatest. As soil test values near critical (32.5 ppm or 65 STP) the likelihood of response and amount of yield increase due to fertilizer P decreases significantly. At a STP of 10 the crop will only produce 70% of its environmental potential if P is not added while at a STP of 40 the crop will make 90% of its potential. The combination of % sufficiency and yield goal can be used to determine economic value of added P.
*STP (soil test P) is a conversion used by some Universities. Equivalent to pounds per acre. * for a 0-6” in soil sample PPM * 2 = STP. This data is available from OSU in multiple forms from the Factsheet PSS-2225, the SWFAL website, Pete Sheets quick cards, and the Field Guide App. This year with margins tight soil testing is more important than ever before. Knowing the likelihood of response and appropriate amount of fertilizer to apply will be critical maximizing the return on fertilizer invest while maximizing the quality and amount of grain we can produce. Visit with your consultant or agronomist to discuss what the best approach is for your operation. Lets ride this market out, get the most out of every input and come out of this down cycle strong. Feel free to contact me with any questions you may have. NDVI, Its not all the same. With the most recent FAA UAV announcement my phone has been ringing with excited potential UAV users. Two points always comes up in the conversation. NDVI (normalized difference vegetation index) and image resolution. This blog will address the use of NDVI, resolution will come later. Before getting into the discussion, what NDVI is should be addressed. As described by Wikipedia, NDVI is a simple graphical indicator that can be used to analyze remote sensing measurements, typically but not necessarily from a space platform, and access whether the target being observed contains live green vegetation or not. NDVI is a mathematical function of the reflectance values of two wavelengths regions, near-infrared (NIR) and visable (commonly red). Calculation for NDVI. Any visible wavelegnth can be substituted for the red wavelength. The index NDVI has been tied to a great number of crop factors, the most important being biomass. Biomass being important as most things in the plant world impact biomass and biomass is related to yield. The most challenging issue with NDVI is it is highly correlated with biomass and a plants biomass is impacted by EVERYTHING!!!! Think about it, how many things can impact how a plant grows in a field. 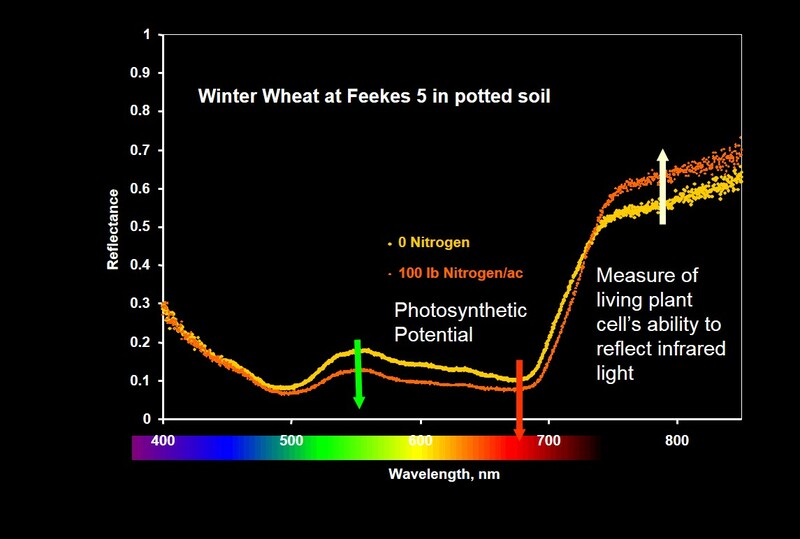 Image showing the impact of nitrogen on a potted plants spectral reflectance pattern. The yellow line has 0 Nitrogen and the orange line had 100 lbs. The higher the line the more that wavelength is reflected. Note Photosynthetic wavelength are absorbed more (reflected less) when the plant is bigger but the NIR (right side) is absorbed less by the healthier plants. The kicker that most do not know is that all NDVI’s values are not created equal. The source of the reflectance makes a big difference. Measuring reflectance requires a light source, this is where the two forms of NDVI separate. Passive sensors measure reflectance using the sun (natural light) as a light source while active sensors measure the reflectance from a known light source (artificial light). The GreenSeeker is a good example of a active sensor, it emits its own light using LEDs in the sensor while satellite imagery is the classic passive sensor. 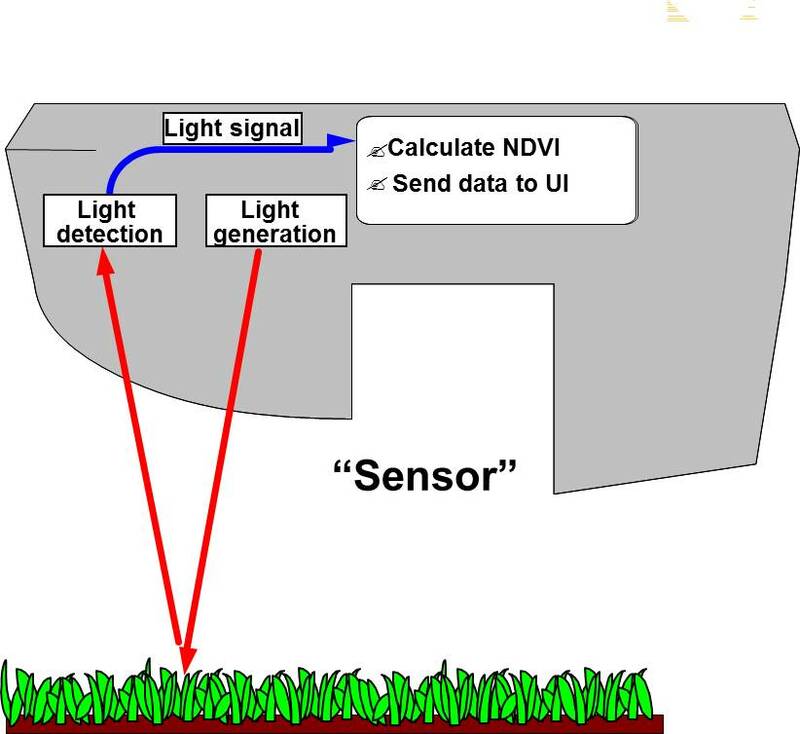 Graphic of how a active sensor emits light and detects light. The challenge with passive remote sensing lies within the source of the light. Solar radiation and the amount of reflectance is impacted by atmospheric condition and sun angle to name a few things. That means without constant calibration, typically achieved through white plate measurements, the values are not consistent over time and space. This is the case whether the sensor is on a satellite or held held. In my research plots where I am collecting passive sensor data, so that I can measure all wavelength, I have found it necessary to collected a white plate calibration reading every 10 to 15 minutes of sensing. This is the only way I can remove the impacts of sun angle and cloud cover. When using the active sensors as long as the crop does not change the value is calibrated and repeatable. What does this mean for those wanting to use NDVI collected from a passive sensor (satellite, plane, or UAV)? Not much if the user wants to distinguish or identify high biomass and low biomass areas. 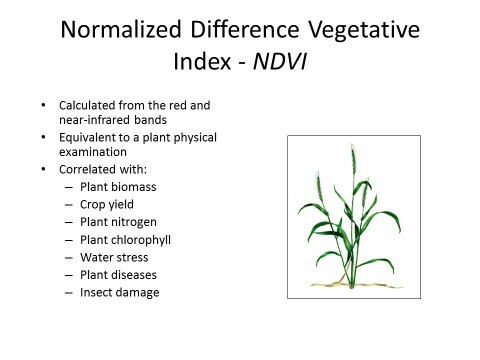 Passive NDVI is a great relative measurement for good and bad. However many who look at the measurements over time notice the values can change significantly from one day to the next. The best example I have for passive NDVI is a yield map with no legend. Even the magnitude of change between high and low is difficult to determine. Passive un-calibrated NDVI is a relative value. Providing relative highs and lows. Passive NDVI in the hands of an agronomist or crop scout can be a great tool to identify zones of productivity. It becomes more complicated when decisions are made solely upon these values. One issue is this is a measure of plant biomass. It does nothing to tell us why the biomass production is different from one area to the next. That is why even with an active sensor OSU utilizes N-Rich Strips (N-Rich Strip Blog). The N-Rich Strip tells us if the difference is due to nitrogen or some other variable. We are also looking into utilizing P, K, and lime strips throughout fields. Again a good agronomist can utilize the passive NDVI data by directing sampling of the high and low biomass areas to identify the underling issues creating the differences. OkState has been approached by many UAV companies to incorporate our nitrogen rate recommendation into their systems. This is an even greater challenge. Our sensor based nitrogen rate calculator (SBNRC blog) utilizes NDVI to predict yield based upon a model built over that last 20 years. That means to correctly work the NDVI must be calibrated and accurate to a minimum of 0.05 level (NDVI runs from 0.0 to 1.0). To date none have been able to provide a mechanism in which the NDVI could be calibrated well enough. NDVI values collected with a passive sensor, regardless of the platform the sensor is on, has agronomic value. However its value is limited if the user is trying to make recommendations. As with any technology, to use NDVI you should have a goal in mind. It may be to identify zones or to make recommendations. Know the limitations of the technology, they all have limitations, and use the information accordingly. The question on to how to manage wheat production that has suffered high potential yield loss can be quite challenging. High disease pressure and periods of dry conditions have been the main focus of this season’s wheat crop, but the recent storms have added to these issues with fields having >50% lodged wheat. While this may be a great concern when viewing this crop initially, a lodged or damaged wheat crop may still have decent yield potential. It is important to remember that, 50% lodging does not necessarily represent 50% yield loss. Many times the wheat crop will stand back up days or weeks after a lodging event. Overall, for a questionable stand of wheat, the best course of action might be to keep the stand and get the most yield possible from the crop. If you are considering planting a crop after failed or abandoned wheat, there are some important considerations before making the jump. This will be the biggest catch for terminating a current wheat crop for a replacement summer crop. In many scenarios, once the wheat crop has begun to head this will be considered a double crop situation. In this instance many companies will not allow insurance to cover the following crop. Even if insurance is available for this double-crop scenario, at least three year yield potential numbers are frequently the minimum needed to receive this support. The best first steps for a grower to take when evaluating their fields planting of a replacement crop after a termination or hay is to check on their individual coverage and talk to their representatives before any action is taken. One of the most important considerations for determining if and what potential crop could be planted following a non-harvested wheat crop is the chemistries used during the year. Table 1 gives rotational restrictions on some commonly used winter wheat herbicides. While this provides a summary or shortened list of herbicides and their rotational restrictions, producers should check individual labels if other herbicides were used. It should also be mentioned that minor plant injury could occur past the stated months following application given differences in soil conditions such as pH, soil moisture, and soil temperature. One thing that needs to be decided is how the grower will manage the heavy wheat residue associated with the failed crop. Certain situations exist that may result in limited to no residue (i.e. haying or heavy disease pressure); however, most producers will be faced with high residue load which may potentially be heavily matted and may pose challenges for producers to plant through. In these situations, producers may need to resort to tillage. The amount and intensity of tillage will greatly depend on the amount of residue left in field. In high residue situations, producers may need to run one or several primary tillage practices followed by a secondary or finishing tillage event. However, in lower residue conditions or if the producer has access to no-till equipment, no tillage may be needed to achieve a successful stand. When deciding to terminate an existing wheat crop and/or to plant a successive crop, decisions need to be evaluated at a systems level. Growers need to ask themselves whether this makes sense within their system and if it fits into their long-term system goals. If the original intent for the system was to double-crop following wheat harvest, it needs to be determined if the remaining economic benefit without the yield from the wheat crop. This may be at least partially alleviated if any profit can be made from the wheat crop (i.e. hayed) but needs to be evaluated on a specific field basis. The next question will be what the successive crop would have originally been? If a summer crop is planted, some systems will need a winter fallow as to not overstress the system, harvest the summer crop prematurely, or plant the successive winter crop past the appropriate timeframe. In this case it needs to be determined if that is suitable for the long-term system goals. Many of these scenarios exist and each could be beneficial or not within individual systems; however, growers need to evaluate these individually and determine what works best for their current situation and their long-term production goals. Overall, the decision to move to a replacement crop can be very challenging. It cannot be stressed enough that in most situations maintaining the existing crop is likely the best option for most producers. This article is written by Dr. George Rehm, University Minnesota, Soil Fertility Specialist (retired). See more of Dr. Rehm’s blogs at agwaterexchange.com. Use of strip trials as a learning as a way to learn is becoming more popular across the Corn Belt. This is to be expected. Crop producers have a thirst for information. With GPS technology and yield monitors, and the use of common sense, it’s not difficult to establish strip trials for the purpose of evaluating a concept or compare one or more products or rates of a product. There are, however, some important considerations for the conduct of a strip trial. These begin with planning before planting and continue with appropriate interpretation of the data following harvest. These considerations are summarized in the paragraphs that follow. IN THE PLANNING PROCESS, SIMPLICITY RULES — Speaking from years of experience, when planning, it’s very easy to bite off more than you can chew. What looks easy or simple on paper can be a logistical problem when you go to the field. So, make comparisons simple. If comparing rates of nitrogen fertilizer for corn, for example use no more than three rates. It’s nice to have a control (the variable of interest is not used). The treatments to be compared must be repeated in the field at, least three times. If comparing rates of nitrogen fertilizer for corn, for example, use no more than three rates. It’s nice to have a control (the variable of interest is not used). The treatments to be compared must be repeated at least three times. The replication must be in the same field. It is almost a waste of time if fields are used as replications. If a control is used, it should also be replicated three times. SITE UNIFORMITY — The day of selection of the site for a strip trial is probably the most day for the entire project. Soil uniformity is a must. There is no easy and simple procedure that can be used to correct for lack of soil uniformity at the site. There are several tools that can be used to select for soil uniformity. The Soil Survey should not be ignored. Soil test information based on either grid or zone sampling can also be very valuable. Time spent in selecting a uniform site is time well spent. PRODUCTION PRACTICES — Once a specific comparison has been selected it’s very important to keep other production practices constant. For example, information from a strip trial designed to compare nitrogen rates has little value if varieties are changed in the trial area. Except for the factor of interest, keep all other production practices constant across the strip trial area. Two production practices that change across the strip trial cannot be changed at the same time. Careful planning for this type of project takes time and thought. DATA COLLECTION — Unless there are special reasons to do otherwise, samples collected from treatments at any strip trial site should be collected at the same time. This practice reduces variability in the data. Considering yields, use of combine yield monitors or weigh wagons is certainly appropriate. Although this may be obvious to most, it is essential to record yields from each strip separately. STATISTICAL ANALYSIS — There’s a reason for repeating (replicating) each treatment at least three times. The project is not complete until the data collected have been analyzed with a mathematical procedure called “statistical analysis”. I think that we all realize that there is variability across any field. With all factors being equal, we could combine four strips across any field and the yields would not be the same. So, when we see differences in yield, the obvious question is: “Is the difference in the yield the result of a real difference caused by the factor being considered or variability across the field?” Statistical analysis is the tool needed to answer this question. There is no other way to answer this question. Let’s look at an example illustrating the importance of statistical analysis. Using strip trials in different counties, two rates of nitrogen were compared. There were three strips of each rate. For a field in Kandiyohi County with corn following a soybean crop, yields from the lower nitrogen rate (149 lb. soil + fertilizer N/acre) were 123, 157, and 170 bu./acre for the three strip receiving this rate. These three yields average to 150 bu./acre. For the higher nitrogen rate (199 lb. soil + fertilizer nitrogen), the three yields were 157, 176, and 166 bu./acre. This averages 171 bu./acre. Using these arithmetic averages, the initial conclusion is that the higher nitrogen rate was better than the lower nitrogen rate It would certainly appear that 171 bu./acre is better than 150 bu./acre. If statistical analysis is used, however, the difference in yield is not statistically significant. Why? This conclusion is the consequence of substantial variability among three replications. In other words, the arithmetic difference is due to variability in yield across the field rather than the factor being compared. For the same project, a strip trial was used on a field in Carver County. The corn/soybean rotation was used. The low nitrogen rate was 102 lb./acre and the higher nitrogen rate was 151 lb./acre. Yields from the three strips with the low nitrogen were 181, 196, and 195 bu./acre with an average of 191 bu./acre. For the high nitrogen rate, yields from the three strips were 208, 210, and 207 bu./acre with an average of 208 bu./acre. Statistical analysis of this yield data showed that the difference between 191 bu./acre and 208 bu./acre was not due to variability in the field. It was, in fact, the result of the rate of nitrogen applied. Notice that variability among the three replications for each nitrogen rate was small. Thus, we can say with confidence that there was a REAL difference in yield caused by the rate of applied nitrogen. Nearly everyone involved with strip trials wants to present an economic analysis of the yield data. This is logical. HOWEVWE, an economic interpretation is only valid if differences between or among treatments is STATISTICALLY SIGNIFICANT. Otherwise, we make a serious MISTAKE that could have serious economic consequences. For the Kandiyohi County field, the difference in yield could have been caused by treatment applied or natural variation in the field. We have no way of knowing the real cause. For the trial in Carver County, we are sure that the difference in yield was due to the rate of nitrogen applied. Use of statistical analysis allows us to reach this conclusion. Now economic interpretation can be applied to the results. SUMMING UP — Use of strip trials is a good way to make comparisons between or among factors that affect crop production. In addition, these comparisons can be conducted in growers’ fields. However, it’s not an easy task to do an accurate job. Good planning is needed at the beginning and STATISTICAL ANALYSIS is essential at the end. There are too many comparisons where statistical analysis is ignored and only arithmetic averages are used. Without statistical analysis, there can be any number of interpretations of the data. Statistical analysis eliminates the potential for confusion. I have received scattered reports of cabbage aphids infesting canola racemes and low levels of green peach aphids feeding on canola leaves. Cabbage aphids are small, 2.0-2.5 mm (1/12 inches) blue-gray aphids with short cornicles. They are usually covered with a powdery wax coating. They are often found clustering on the developing panicle (Figure 1). They can cause plant stunting, distortion of growth, and flower abortion. Green peach aphids are pale green to yellow (and sometimes pink) with long cornicles and antennae and measure 1/8 inch. They are found in winter and spring on leaves (Figure 2). Their feeding can cause stunting and defoliation. They can also transmit plant disease-causing viruses such as cauliflower mosaic and turnip mosaic viruses. Scout for aphids by looking on the underside of the leaves, and racemes. For cabbage aphids, research conducted in Australia suggests that an insecticide application is justified if 20% of the racemes are infested with cabbage aphids. For green peach aphids, research conducted by Dr. Kris Giles at OSU found that and average of one green peach aphid per plant can reduce seed yield by about 0.5 lb per acre. Thus, if the cost of an application is $10 per acre, and canola is bringing $0.2 per pound (quote from ADM Farmer Services 04/08/2016 www.adm.com), an infestation of 100 aphids per plant would cause yield loss of $10.00 (50 lb, x $0.2/pound) which is equal to the cost of the application. This is known as the ECONOMIC INJURY LEVEL (EIL). We typically set the ECONOMIC THRESHOLD (ET) below the EIL, in this case at 80% of the EIL (80 aphids per plant) to give time to schedule an application before the EIL is reached. Below is a set of suggested ECONOMIC THRESHOLDS, based on the cost of the application. Current recommendations for control of aphids in canola are listed in CR-7667, Management of Insect and Mite Pests in Canola which can be obtained online at http://pods.dasnr.okstate.edu/docushare/dsweb/Get/Document-3045/CR-7667web2009.pdf. Transform® insecticide is no longer registered for use in canola as of November 11, 2015. Only existing stocks that have already been purchased and delivered to the grower before the cancellation can be applied according to the label. Remember, green peach aphids have a history of developing resistance to pyrethroids, which are the primary registered insecticides for use in canola. Thorough coverage of an insecticide application is necessary to obtain optimal control. If you notice natural enemy activity, especially lady beetles, and want to preserve their activity, keep several things in mind. Our research shows that Beleaf® insecticide is particularly benign to natural enemies because of its slow acting efficacy on aphids, which allows aphid-feeding beneficials to continue to eat them with little to no consequence on their biology. That being said, cabbage aphid may contain toxins that they acquire through their feeding which make them less palatable to some predators, and reduces their effectiveness as natural controls. With all pesticides, review label restrictions for applications during bloom, as honeybees can be killed if exposed to several of the registered products. One registered product, Beleaf® (FMC Corporation) does not have any restrictions for application during bloom.